If water consumes a portion of your home, take action immediately and call the water damage Canton and mold removal Canton experts with 911 Restoration Dallas. We understand how overwhelming a repair situation can be in your home. This is why we are available 24/7/365 and can arrive at your property within 45 minutes of your call. If you discover a leak in your home or find that your toilet is consistently overflowing, take action fast so our team can help prevent mold growth and structural damage. You can count on our water damage Canton and mold removal Canton to arrive with fast and with long-term solutions and answers. Call 911 Restoration Dallas today! We want you to have full trust in our skills and experience and you can rest assured working with us because each of our water damage Canton and mold removal Canton experts are licensed, bonded and insured. When our crew arrives, they arrive fully geared and equipped ready to tackle any situation. With the help of strong water extraction machines, our water damage Canton experts are able to quickly and efficiently mitigate water affecting the areas in your home. 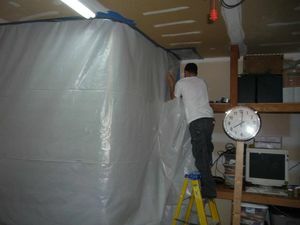 Furthermore, our water damage Canton pros use state of the art drying equipment so that no time is wasted in the process of restoring your home. Once our water techs finalize cleanup and sanitation, our mold removal Canton experts start to detect mold with infrared cameras. This technology allows us to pinpoint moisture hidden in areas we can’t see such as wall cavities. If you suspect that water from a past flood or recent even has caused mold growth in your home, call the water damage Canton and mold removal Canton experts immediately. 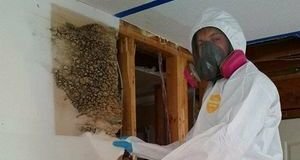 Our water damage Canton and mold removal Canton staff have been working in the restoration industry for years, whether they were on the field or handling insurance companies. So when you work with us you can be confident that we will find a solution to your problem. Furthermore, our project managers work with each homeowner to help them prepare for their insurance claim submission so it can be done correctly the first time. Then our project managers will communicate with customers on the next steps and update them on progress. 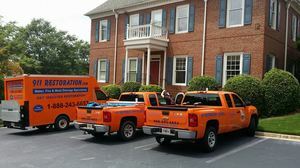 If you are looking for an affordable and reliable water damage Canton and mold removal Canton team, look no more. 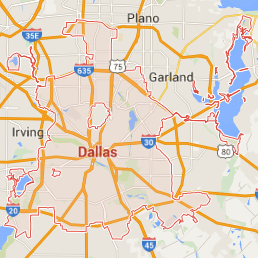 Call the water damage Canton and mold removal Canton experts with 911 Restoration Dallas today!